NATS, the UK based global provider of air traffic services, has won the Duke of Edinburgh’s Navigation Award for Technical Achievement. The award was given by the Royal Institute of Navigation, of which the Duke is the patron. iFACTS is a set of tools that reduces a controller’s workload and increases the amount of traffic they can safely handle. It provides decision making support and facilitates the early detection of conflicts in and around the sector. It means controllers can literally see into the future and predict aircraft positions, heights and headings up to 18 minutes ahead of time. This provides safety, capacity and environmental benefits. 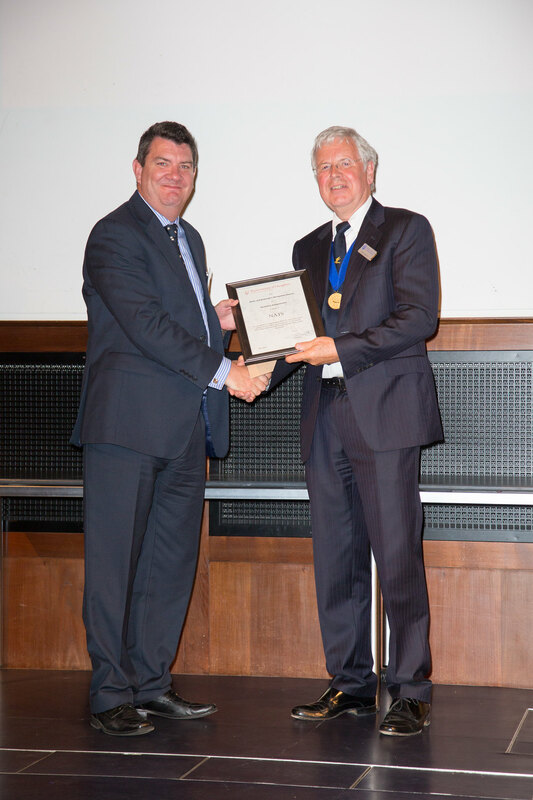 The award was presented to Martin Rolfe, NATS Managing Director of Operations, at the Institute’s Annual General Meeting. In 2012 iFACTS delivered an average 15% improvement in airspace capacity, with some sectors growing as high as 40%, without increasing the number of operational staff or redesigning of air routes. As a result, it has made a major contribution to NATS best ever delay performance, with ATC attributable delay averaging just 1.4 seconds per flight in 2012.